The New England Science Fiction Association (NESFA) is now accepting stories for its 2017 Annual Short Story Competition for new and emerging writers. We are seeking science fiction and fantasy short stories that represent a diverse range of topics and authors within the genre. The purpose of this contest is to encourage amateur and semi-professional writers to reach the next level of proficiency. We will look for engaging openings, good character development, well structured plotting, powerful imagery, witty or humorous language, unique word or phrasing choices, and convincing endings. A qualifying entrant is a writer who has not previously published in a paid, professional forum, book, magazine, etc. 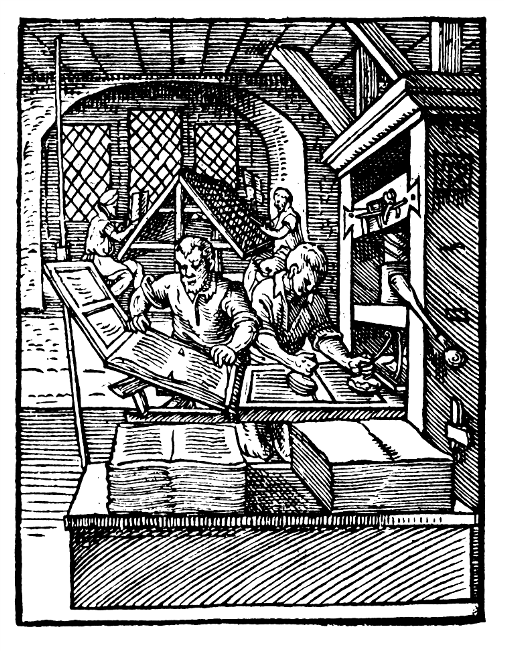 at the time of submission, and who has received no more than $1000 for any previously published short stories (total) or other work of fiction in electronic form. Having published a novel, either in e-format or on paper automatically disqualifies you as an entrant in the contest. All contest entrants receive a short critique of their work and finalists receive an assortment of free books. Past judges have included award-winning authors such as Daniel Kimmel, Steven Brust and Garth Nix, among others. The grand prize winner will receive a free membership to Boskone 56, New England’s longest running science fiction convention. The deadline for submissions is September 1, 2017 at 11:59 p.m. EDT. All submissions must be made via email to storycontest@boskone.org in flat text, rich text, or any format readable by MS Word or Open Office. For more information, including submission guidelines and deadlines, visit http://www.nesfa.org/awards/storycon.html. NESFA welcomes all writers and topics. We look forward to reading your submission and wish all of our writers good luck in NESFA’s 2018 Annual Short Story Competition. Nashville’s science fiction club, the Middle Tennessee Science Fiction Society, will hold its last meeting on March 8. The club has been around for 45 years, been involved in 30 Kubla Khans (1973-2002) and several Xanadus. Their final gathering will be at the Green Hills Public Library, from 6:00 p.m. to 7:45 p.m.
Ackerman Square sign installation on November 17. Photo by Michael Locke. By John Hertz: When I passed a storefront bearing a sign “Esperanto Inc.”, I knew it would be a good day for remembering Forrest J Ackerman (1916-2008). If he were reading over my shoulder he might say “But Esperan-Test was Roy Test [1921-2009].” Maybe he is. 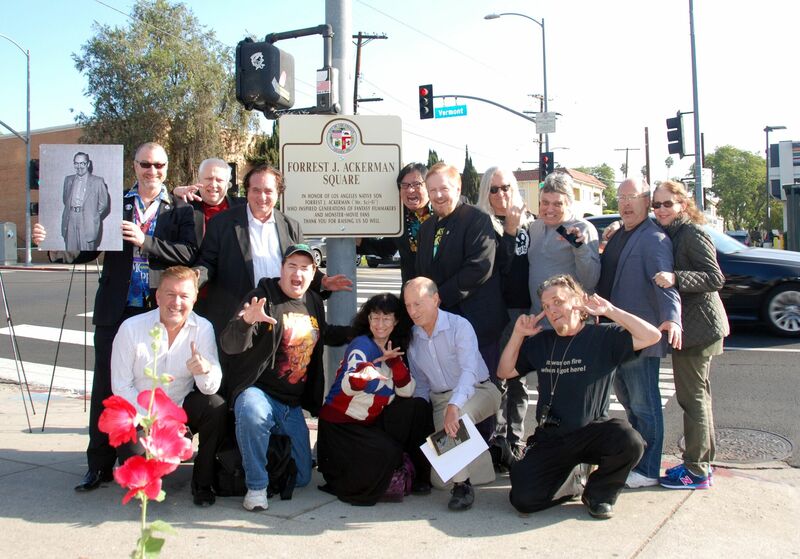 They were among the happy few who in 1934 founded the Los Angeles Science Fantasy Society, oldest SF club on Earth. Roy’s mother Wanda was the secretary; Forry called her minutes Thrilling Wanda Stories. In an inspired pun he called SF fandom the Imagi-Nation. Eventually we recognized as First Fandom all those who had been active at least as early as the first World Science Fiction Convention in 1939. Forry’s first published letter was in Science Wonder Quarterly ten years earlier. 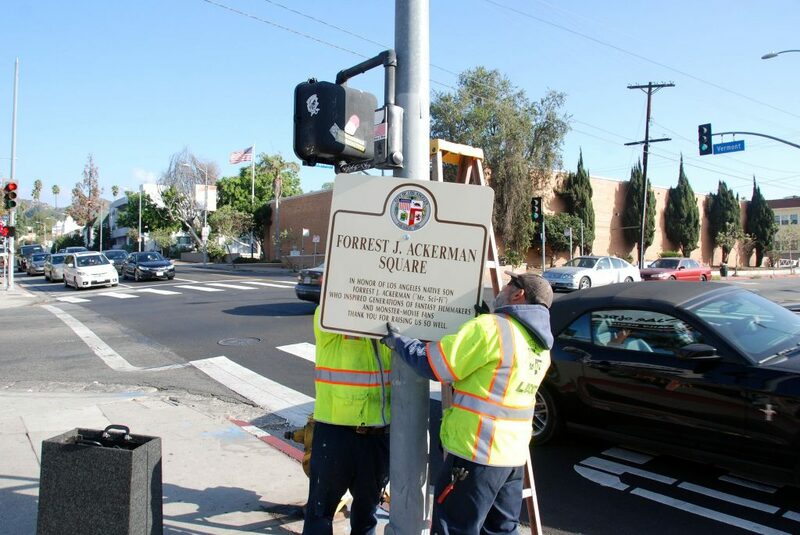 On November 17, 2016, the City of Los Angeles, as advertised, declared the four corners of Franklin & Vermont Aves. 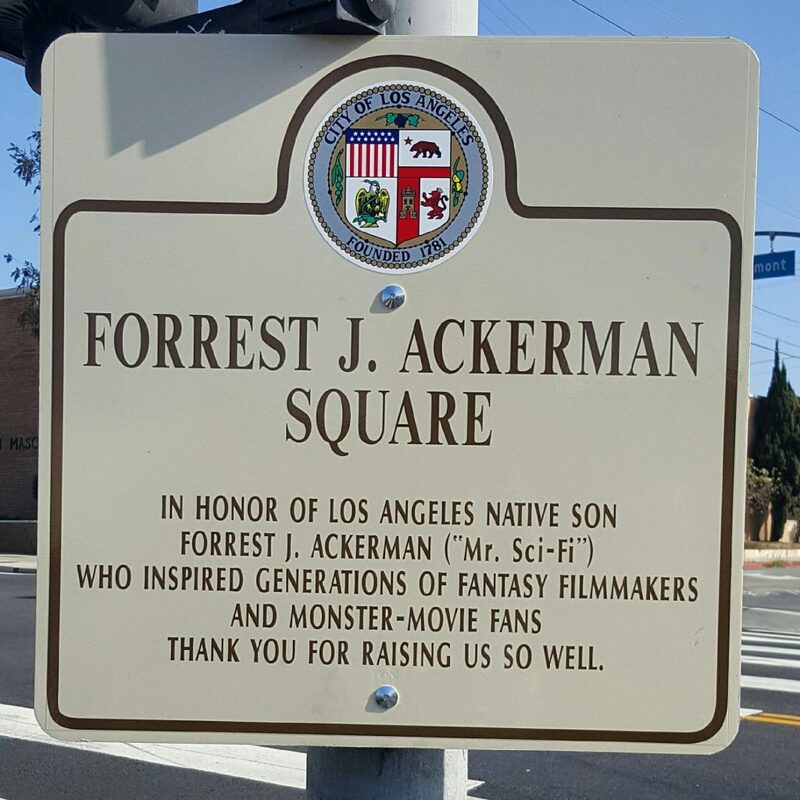 to be Forrest J Ackerman Square. This was in District 4; Councilman David Ryu was there. 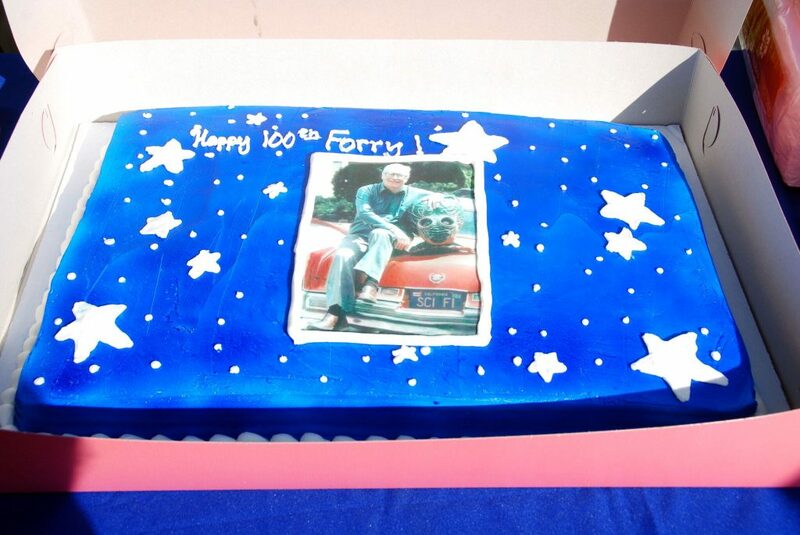 The ceremony was on the southeast corner, in front of Forry’s beloved House of Pies restaurant. 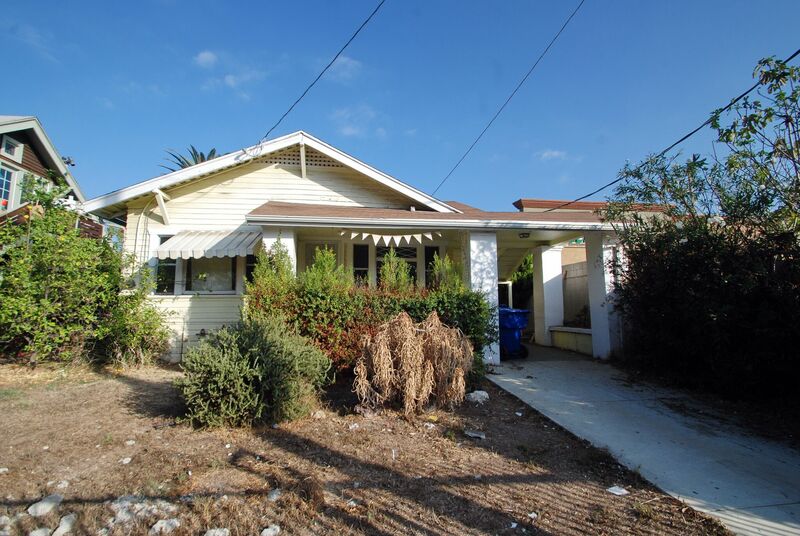 When he had to give up the Ackermansion on Glendower Ave. his real-estate agent was told “Get me something within a half-mile radius of the House of Pies”, and did. Another Ackermiracle. The Acker Mini-mansion. Photo by Michael Locke. The City’s placards acknowledged 4e as “Mr. Sci-Fi”; he had coined sci-fi when high-fidelity audio recording was new and people talked of hi-fi. He knew but was unconvinced by the sorrow some of us came to feel at the scornful use of his expression in the mass media. His attitude might have been Don’t fight them, embrace them. I never discussed it with him. He wasn’t a fighter, he was a lover. I also never discussed what he knew of Owen Glendower. I was merely the first, by no means the only, person to remind Ryu’s staff there was no period after the J. Forry had gone to court making that his legal name. Replacement placards were promptly promised. A deputy showed me the Council resolution had written it right. Ackerman Square dedication placard (with erroneous period after the initial “J”). Most of the sixty standing on the corner, and all the speakers, knew Uncle Forry as the Ackermonster, for twenty years editor, writer, chief cook and bottle-washer, and blithe spirit of Famous Monsters of Filmland. They spoke of his generosity — which he certainly had — and his turning focus from the stars to people behind the camera, make-up artists, technicians. They thanked him for inspiring them to become professionals and to achieve recognition. Some of the Ackerman devotees on hand for the dedication. Photo by Michael Locke. Half a dozen from LASFS were there too, including two on the board of directors and a former president. No one had invited us to speak, nor indeed to attend; we came because we were willing and able (must be both) and it seemed the fannish thing to do. LASFS delegation. Standing (L-R) Michelle Pincus, Gavin Claypool, Beverly Warren, Matthew Tepper. Kneeling (L-R) John Hertz, Debra Levin, Shawn Crosby. It’s a proud and lonely thing to be a fan. I’m not surprised that commercial science-fiction conventions run to six-figure numbers while our local Loscon draws a thousand. The difference is in the participation. Not much mental voltage is needed to imagine people must be either buyers or sellers. Some fans do turn pro; if willing and able, why not? Some pros develop careers as fans. Some people are active as both. Forry was. But as Patrick Nielsen Hayden says, and he should know, in our community fandom is not a junior varsity for prodom. And there was cake. Photo by Michael Locke. 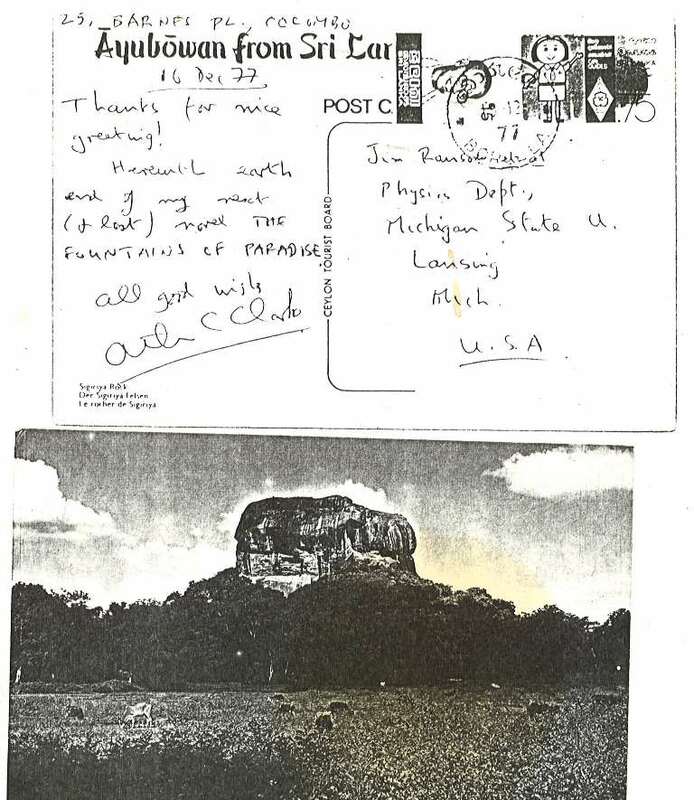 Visit fans in another country, in person or by phone or mail. Forry did all those. To him it was all good. The Los Angeles Science Fantasy Society’s Ad Astra and Beyond: The Forry Award Anthology has been released as an Amazon Kindle ebook. 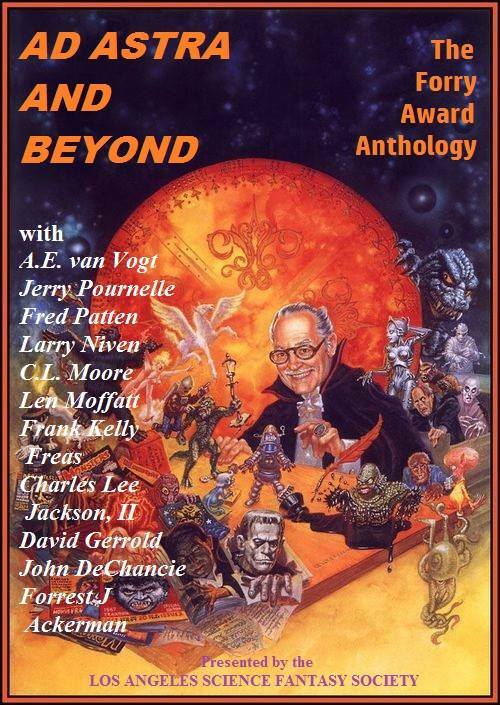 The anthology features some of the top names in science fiction, all past recipients of the award: Frank Kelly Freas, Forrest J Ackerman, John DeChancie, David Gerrold, Len Moffatt, C.L. Moore, Larry Niven, Fred Patten, Jerry Pournelle, and A.E. van Vogt. 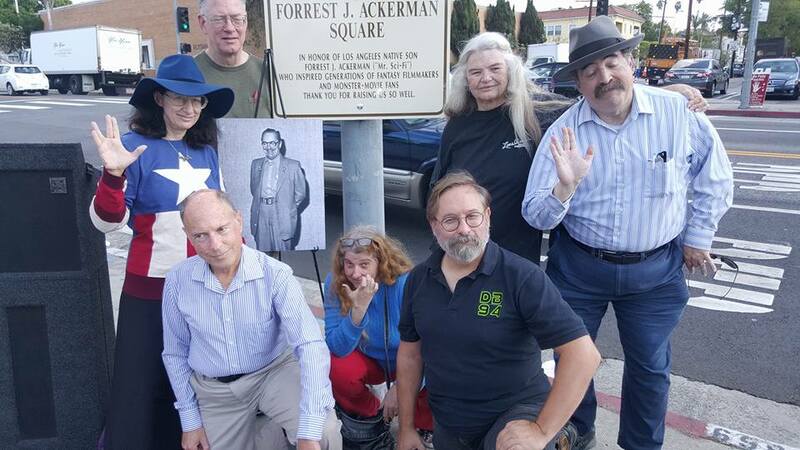 The Forry Award, named after Forrest J Ackerman, has been presented by LASFS each year since 1966 to an individual for an outstanding achievement in the field. 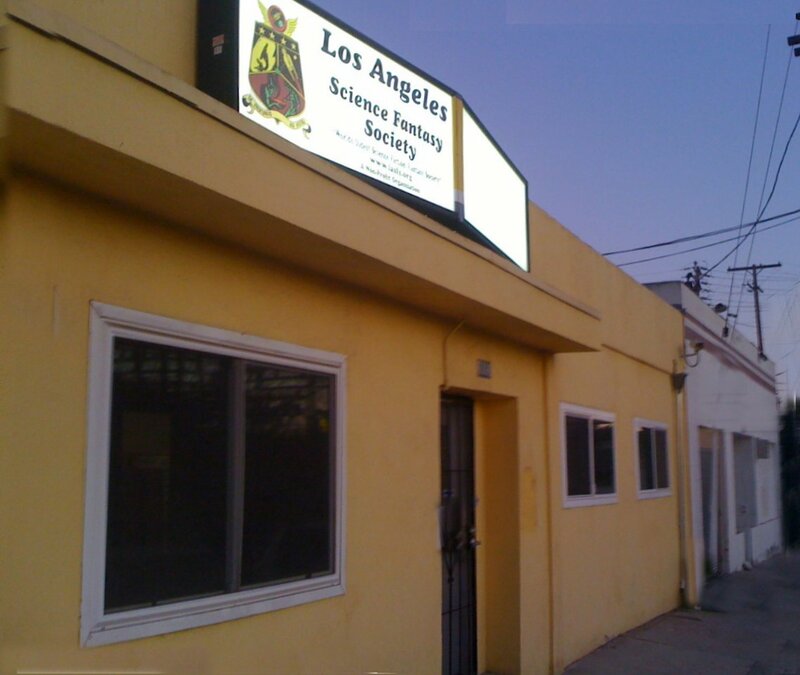 Los Angeles Science Fantasy Society officers revealed on Facebook that the club has agreed to sell its clubhouse. 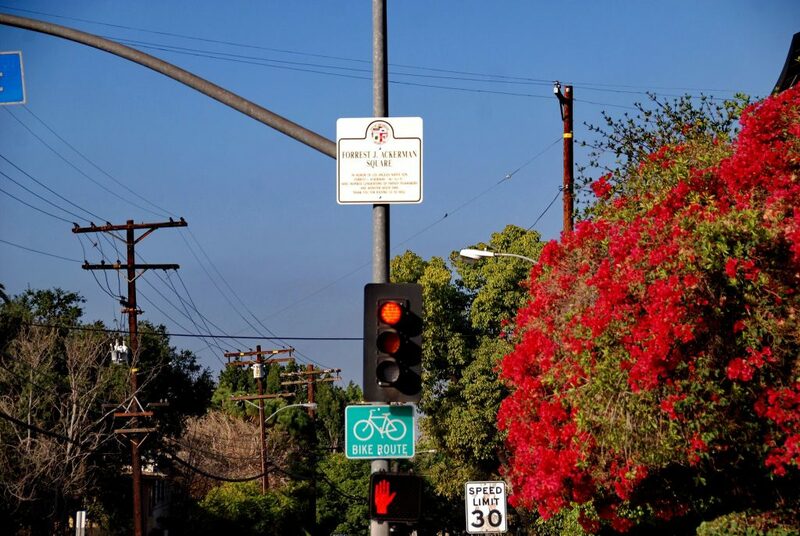 The terms allow the club to continue to use it for eight months while they search for a replacement in the southeast/central San Fernando Valley of Los Angeles. LASFS moved to its Van Nuys location in 2011, which proved to be a poor choice because of extremely limited street parking, and the large population of homeless who camp literally across the street.